But there can be only one lucky winner. And that person is… Sarah Hebb!! Huge congratulations to you!! You can let me know where you’re located, and your preferred collar size, via email at: halifaxdogventures@gmail.com. 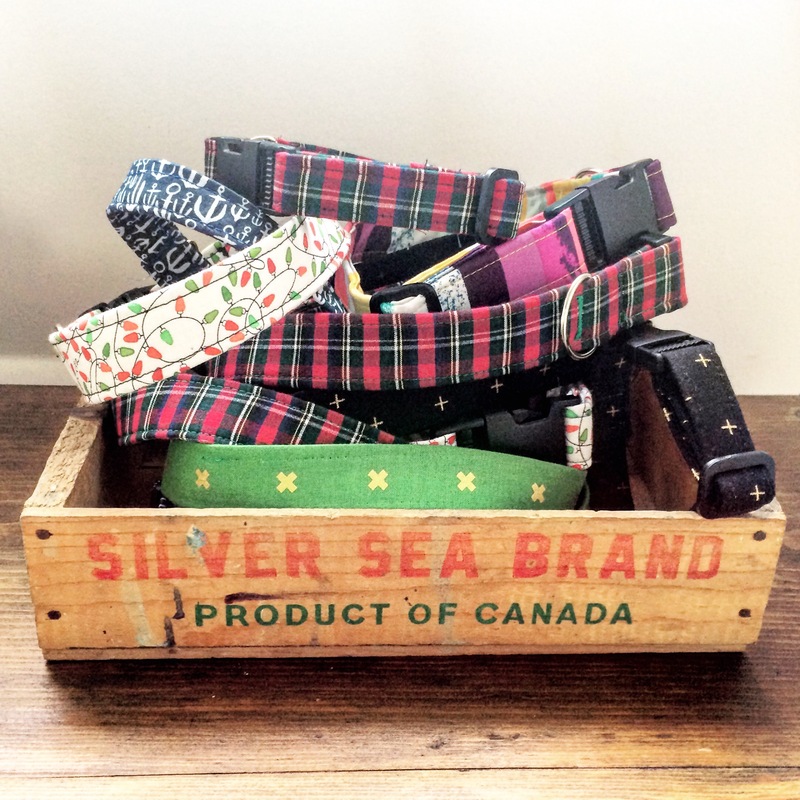 Huge thanks to everyone who entered, and don’t forget – if you want to get your paws on one of the handmade adjustable dog collars, be sure to stop by the ElderDog table at the Alderney Christmas Market on December 3rd from 2pm to 9pm. We’ll be selling collars in different prints and sizes, and 100% of the proceeds will go to the ElderDog Dartmouth East Pawd. Now on to the dogventure. This week’s post is about Bissett Lake Trail. The Trail is tucked in behind the Colby Village subdivision in Cole Harbour. 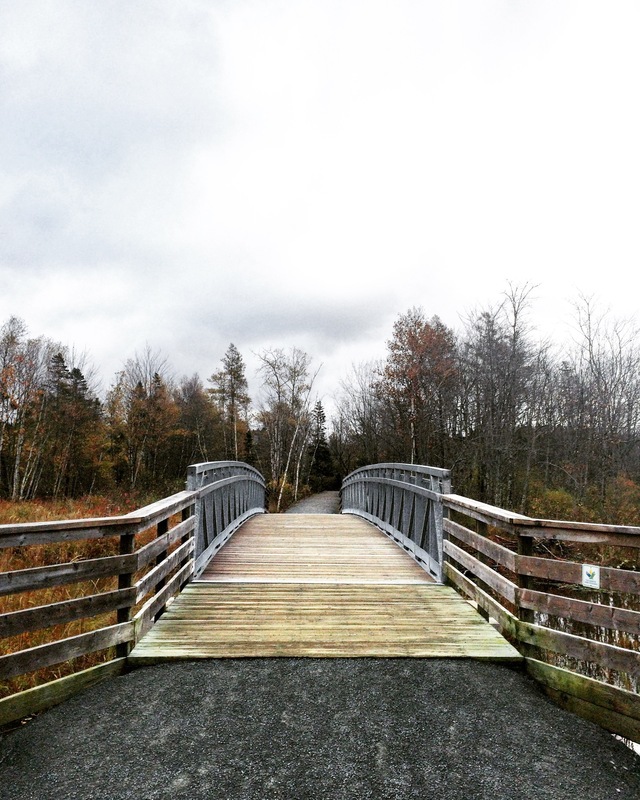 It features a crushed gravel trail that runs from Cole Harbour Road to Bissett Lake. After 1.5km, the Trail connects to two large ball fields, which of course means there is lots of space for playing fetch. But this Trail’s biggest asset is that its close proximity to what remains one of my favourite places in all of HRM: the Cole Harbour / Lawrencetown Coastal Heritage Park. I had no idea it was possible to access the Heritage Park from Colby Village, but if you cross a small bridge at the north end of Bissett Lake, you’ll find yourself within steps of that big and beautiful space. My mind was actually kind of blown. This is embarrassing to admit, but I have horrible spatial awareness. I have a hard time putting the pieces of a map together in my head, which means I’m always super impressed when I realize how things fit together. I digress. Anyway, there isn’t much more to say about the Bissett Lake Trail. I wouldn’t drive across the City to visit, but it is a great place for a stroll or a game of fetch if you’re in the neighbourhood.